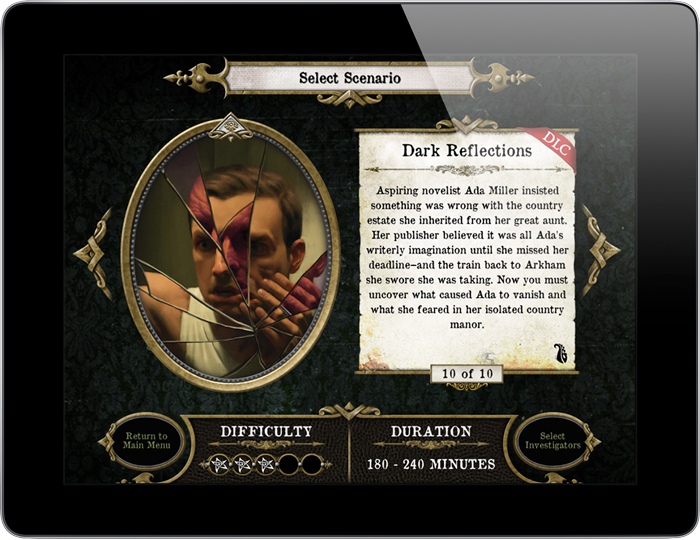 Fantasy Flight Games is pleased to announce the Dark Reflections DLC Scenario for Mansions of Madness Second Edition! This new downloadable adventure is now available as an in-app purchase from Google Play, Amazon, and Steam! Mansions of Madness Second Edition is a cooperative, app-assisted horror game that leads one to five players through the twisted world of H.P Lovecraft’s Cthulhu mythos. Dark Reflections expands the Arkham universe and offers players hours of new gameplay with a new adventure as investigators must solve the mystery of a young woman’s sudden disappearance. The mystery’s level three difficulty invites both new and experienced players to leave behind the world they know to save an innocent soul, even if it costs them their lives or their sanity. Three months ago, Ada Miller inherited the estate of her great-aunt, including a house in the country. With this new windfall, she decided to quit her job as the Arkham Advertiser’s society columnist to write her first novel. According to her publisher, Ada soon began to experience strange happenings in this secluded setting and insisted that there was something wrong with the house. Now, the young writer has disappeared. 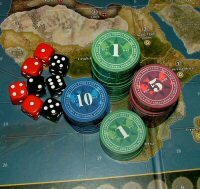 Fearing the worst, the publisher has contacted Arkham’s finest investigators to discover the fate of the unfortunate Ms. Miller. Journey to the mansion, discover Ada’s fate, and pray you escape with your lives. But even if you return to Arkham, every reflection will make you ask yourself: who, or what, is looking back at you?